No platform is safe from ransomware, SophosLabs report warns. Ransomware has been one of the most potent threats to affect the world in 2017, and next year could bring even more danger for companies and consumers alike, new research has claimed. The SophosLabs 2018 Malware Forecast predicts that the threat of ransomware is only set to continue throughout the coming year, with users on all platforms and software offerings being targeted. The report, which is based on data collected from Sophos customers between April and October 2017, found that although Windows systems were attacked the most by ransomware, Android, MacOS and Linux users were also affected by a large number of threats. “Ransomware has become platform-agnostic. 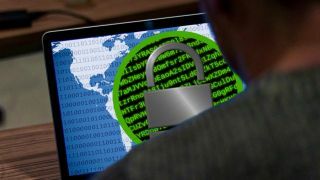 Ransomware mostly targets Windows computers, but this year, SophosLabs saw an increased amount of crypto-attacks on different devices and operating systems used by our customers worldwide,” said Dorka Palotay, SophosLabs security researcher. The report also tracked the most virulent ransomware threats from the past year, finding that WannaCry was the most detected strain in 2017, accounting for 45.3 per cent of all ransomware tracked by SophosLabs. This put WannaCry ahead of long-term leader Cerber, which can be bought by criminals on the so-called Drak Web, and accounted for 44.2 per cent of all ransomware detections. Android users were warned that their devices could be increasingly targeted within the next months, with SophosLabs' findings seeing that the number of attacks on Android devices increasing almost every month in 2017. The company says that the growth could be down to the ease of use with which is allows criminals to make money instead of stealing contacts and SMS, popping ups ads or bank phishing - tactics which often require sophisticated hacking techniques. The company found that most ransomware on Android doesn’t encrypt user data, instead locking the device to create a sense of paranoia in users unable to log in to their device. Sophos is recommending that users regularly back their phones as they would do with a computer, as it expects Android ransomware to continue to increase and dominate as the leading type of malware in the coming year.